“I mean, it’s Kansas,” Texas senior Dylan Osetkowski said. Texas players truly believe they could’ve won at Allen Fieldhouse on Jan. 14. Texas cannot afford to drop too far below .500 in league play. If you’re a basketball player who can dribble, then it’s easy to get pumped up for Kansas. 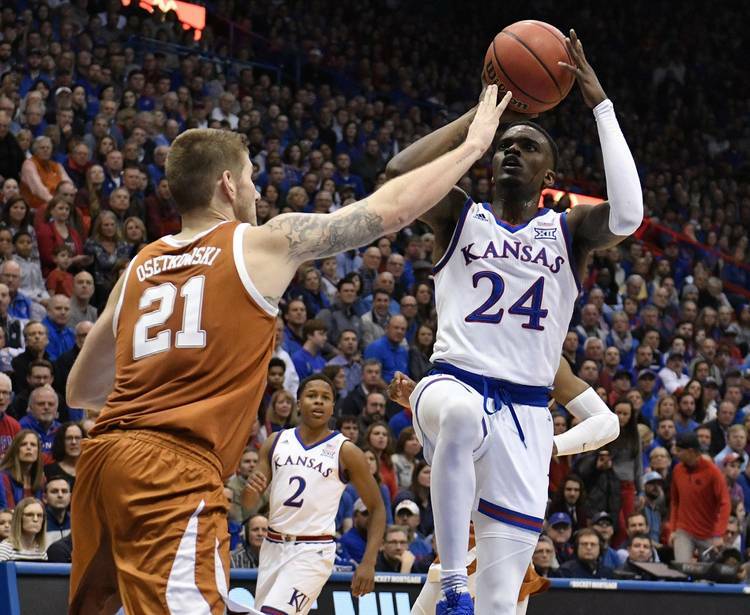 For the Longhorns, Tuesday’s matchup against the 11th-ranked Jayhawks feels like more than a late January Big 12 matchup, though. It’s a true gut-check moment for coach Shaka Smart, his players and the entire UT men’s program. With a great crowd expected, a great opponent at the Erwin Center and a great opportunity on hand, can this team summon its talents and “do all the things that go into winning” that Smart spends so much time talking about? “It’s a chance for our team and our program to demonstrate where we are and how we respond to a really, really tough week last week,” Smart said. It’s been a really tough 2019 so far. Things started well enough with a road win over Kansas State, which did not have standout Dean Wade at the time, and then a home win over West Virginia. But Texas (11-9, 3-4 Big 12) lost five of the next six games, including Saturday’s defensive disaster at Georgia. In an 18-game Big 12 schedule, most coaches don’t start sizing up the league race until the halfway point. The Horns are almost there. UT hosts Kansas and then plays at No. 20 Iowa State on Saturday. Texas cannot afford to drop too far below .500 in league play as the NCAA Tournament pressure would only build in February. Tuesday’s game against the Jayhawks (16-4, 5-2) feels as close to must-win as its gets in January. Texas players truly believe they could’ve won at Allen Fieldhouse on Jan. 14. The Horns battled back from a 10-point deficit and got within two. However, they botched the execution on the game’s final play and Jase Febres didn’t get a clean look at a game-winning 3-pointer. Kansas escaped with an 80-78 win. Five Longhorns finished in double figures with Coleman (16 points, eight assists) leading the way. Texas hit 13 3-pointers, won the rebounding battle 38-31 and committed only six turnovers. Smart pointed out how well Kansas started both halves. Kansas jumped out to an 8-0 start after the opening tip. The Jayhawks started the second half with a 10-2 run. That aggression carried over. Texas returned home to beat Oklahoma. Then UT lost a close game against TCU where again the final play was defended well. Against the Bulldogs, the Horns trailed by five with 7:14 remaining and never showed stomach for the fight. Osetkowski was clearly rattled by what he saw in Athens. During an early second-half timeout, he was seen yelling at virtually everyone in the huddle. He didn’t play an efficient game, but Osetkowski at least battled for 38 minutes. He finished with 15 points, seven rebounds and a career-high seven steals. Kansas comes to Austin after a tough loss to Kentucky in Saturday’s Big 12/SEC Challenge. The Jayhawks got just five field goals in the last 10 minutes and lost 71-63 at Rupp Arena. “We’ve got to be ready to go play in Austin,” Kansas coach Bill Self told reporters afterward. Close games are where Self excels. Over the last three seasons, Kansas is 37-4 in games decided by 10 points or fewer. This is likely to be another nail-biter, given UT’s need to win and Kansas’ athleticism. Smart said for his team to close the gap, the players must believe in what they’re capable of. They’ve done that in wins, but not so well in losses. “That’s what we have to do on Tuesday night if we want to win,” Smart said.